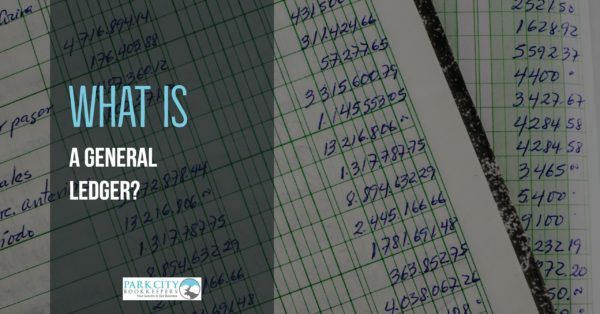 The General Ledger is one of the most important components of any accounting system, and you will need to know what it is and how it works, to understand basic bookkeeping, particularly if you want to handle your own books. The sales and purchases ledgers are sometimes referred to as sub-ledgers. Before delving into the details of how the general ledger works, first, we will define a ledger. A ledger is just a book or a database (depending on whether you are using digital or manual bookkeeping systems), where a group of individual accounts are kept. The sales ledger, for example, is where the individual accounts of customers who made purchases from the business are recorded. These accounts contain important information such as the date of the transaction, the amount involved, whether it was paid via cash, check or was a credit sale. Likewise, the purchases ledger contains similar information on the businesses and people the business made purchases from. The general ledger, as you might have guessed, is where all other individual accounts are collected. The reason there has to be a separate ledger for sales and purchases accounts is that each customer has a personal account and for most businesses, there will be quite a number of sales and purchase transactions which would be difficult to track in a general ledger. Having these separate ledgers also helps to prevent each one from becoming overly complicated. A Franciscan monk, Luca Pacioli was responsible for producing the world’s first known accounting text, and consequently, he has come to be known as the father of accounting. However, Luca Pacioli’s work built on existing accounting practices, most of which can be traced back to the work of Benedikt Kotruljevic. Benedikt Kotruljevic invented the double entry accounting system in the 1400’s, and this is an integral part of what the general ledger does. Double entry accounting makes use of individual accounts with a debit and a credit column that make it possible to accurately view and record the different effects a single transaction has on various accounts. As said previously, the various ledgers are collections of different accounts such as sales, purchases and all other accounts that affect the assets, liabilities, capital, revenue and expenses of a business. How the General Ledger works? The general ledger contains all the financial information of a business, and it is the backbone of the financial reporting system. Every account of the business, including sub-ledgers like sales and purchases, are reflected in the general ledger, making it easy to find and summarize relevant data for reports. the purchases day book where credit purchases are recorded. The data from these accounts is then individually posted to the relevant accounts in the general ledger. For example, all transactions that involve cash will be entered into the cash account in the general ledger. Sales and purchase transactions will be entered into the sales and purchases ledgers respectively, and then entered into the sales control account and the purchases control account in the general ledger. In this way, the general ledger shows the all the financial data for the business at any point in time. It is essential for financial reporting – The general ledger makes accurate financial reporting possible. Since all related items are already entered into their respective accounts, all you need is to extract the balances of these accounts to be used elsewhere, such as in a profit trading and loss account (income statement). Minimizes errors – By offering a detailed outline of your company’s finances, the general ledger makes it possible to spot anomalies or to trace any errors that might be reflected in the financial reports. Helps in preliminary financial analysis – Detailed financial analysis should be done with the aid of financial reports; however, some analysis of the general ledger accounts can make it possible to spot certain trends such as runaway spending. Helps in audits – When conducting an audit, the general ledger will be the primary subject of examination, as it contains all the accounts of the business. Auditors focus on the general ledger to ensure that everything has been classified appropriately. This is important because a good number of bookkeeping problems stem from wrong classification or errors in posting. Budget preparation – Budget preparation is an essential process for every business. One mistake a lot of businesses make is to simply rely on the previous year’s income and expenses figures without accounting for one-off or exceptional expenses. These anomalies can best be spotted by analysis of the general ledger. We hope this post helped you understand what a general ledger is and how it works. While the ability to handle your own books is critical to the success of a small business, as you grow, you may want to consider professional bookkeeping services such as the ones we offer at Park City Bookkeepers.